For that extra special touch...here's an adorable mini purse...it can be used for a variety of things...this one has a couple of tea bags in it but it could easily accommodate a gift card or certificate or a small tissue wrapped gift could be tucked in...the .svg file is in "More of my scal images" link. Now, for details on size and construction. The finished height is just over 3½" high not including the beaded handle. The cut size of this one is 9" x 4.255". I scored it at the widest point for the first fold and once it's folded up you have a guide for the next fold and I measure about a 1/4" up for another fold line so I have a small ridge where I attach the beaded handle. I cut a piece of wire at least 4" long and string about 2" of beads. I poke a small hole about 3/4" in from either side for the hand and then on the inside I add an extra bead and turn the wire with my round nose pliers 2or 3 time and bend slightly to flatten. I cut off the extra after pulling the second side through. If handle seems loose you may need to bend the wire a little more from the inside area and/or put a little white glue to secure. I used two small pieces of the thicker magnetic sheeting as a clasp though I have used a velcro circle cut in half as well. For the inside, I cut a 3/4" strip of matching paper and glue in so it could hold the tea bags and print a message in Print Shop. On the outside is a white button I cut the shank off, sanded it smooth and glued. Hi I love what you did with Paulo's horse and carriage file!!! 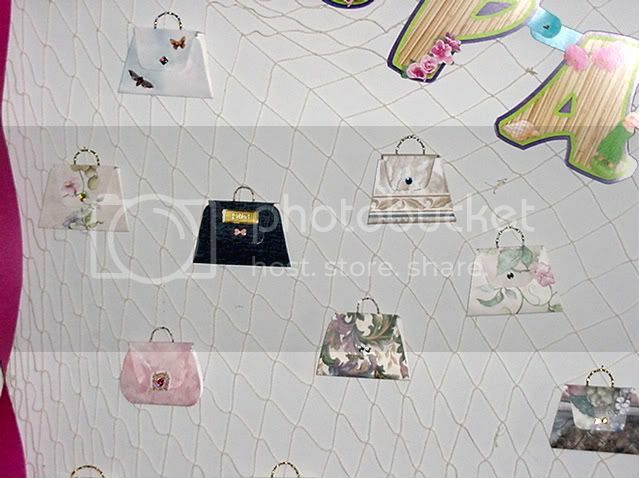 Do you have a svg file for these purses? Thanks!